The Park Smart Precinct 1 Plan is a collaboration of The Trust for Public Land and Harris County Precinct One. From the Trust for Public Land, the project brings together an award-winning Planning and GIS team, an innovative Climate Smart Cities team, dedicated Parks for People staff, and the expertise of the Center for City Parks Excellence. Houston Parks Board is a central partner in the Park Smart Plan, and Asakura Robinson, a local planning and urban design firm, is supporting community engagement for the Plan. 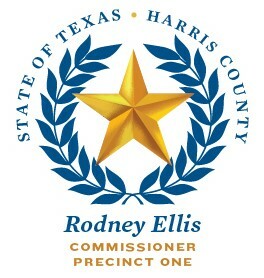 This effort is being funded by Precinct 1 and by a generous grant from the Houston Endowment.